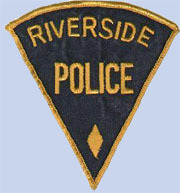 The Riverside Police Department was formed when Riverside Borough Council developed a plan for police protection June of 1953. It was decided that only Riverside Borough residents could apply for the part time police position and five men applied. They were William Oberdorf, Edward Rothermel, Ralph Balliet, Jr., Donald Burkland and Albert Burkland. The plan consisted of paying the officer $1.50 per hour and he had to use his own personal vehicle for patrol. The Borough would furnish the uniform, compensation insurance and other necessary equipment. On June 30th, 1953, Donald Burkland was hired as Riverside Borough’s first Chief of Police and to begin work as soon as possible. Albert “Abe” Burkland, the Constable at the time, was sworn in as a special officer when needed in 1955. On March 24th, 1958, an ordinance to maintain, regulate and govern the police department of the Borough of Riverside, Northumberland County was adopted. It was also authorized by Council to use Merck guards as special police when the Burgess of Riverside (today’s mayor) authorized their use at $1.00 per hour. In 1962 it was adopted to use Merck security guards when Don and Abe Burkland were not available. In March of 1962, Frank Huntington, George Dietz and Lewis Wray from Merck were given authority to patrol the Borough to compliment the Police department. The question arose concerning the police having to use their personal vehicles as police cruisers and in November 1964, bids were received for the Borough of Riverside’s first police cruiser, a 1965 Chevrolet from Lewis Chevrolet for $2,125.00. The move to a full time police department started in early January 1966. It was discussed and moved by Council to requested Borough Solicitor Arthur Peters to advertise for a full time police officer and go as high as $4,200.00 for a salary. By April, Richard Miller was hired as the first full time Chief of Police for the Borough of Riverside. On November 3rd, 1969, Chief of Police Richard Miller resigned his position for personal reasons and it was decided to advertise for a new Chief of Police. Five applications were received and Albert “Abe” Burkland was hired as the new Chief of Police, starting salary of $6,200.00 annually. In September 1972, Mayor Frank Webber began checking into hiring a second full time Police officer using Federal Funds, however, funding was not available to hire policeman at that time. A decision was made in February 1974 that a second full time police officer was needed. Twelve men applied for the position and the Borough chose John Mutchler in April 1974. Talk of hiring a third full time officer began in 1976 after the police department moved into a small office on the southwest corner of the Riverside Municipal Building. In April 1977 Ms. Sharon McCrum was hired under the CETA program as its third, full time police officer. She was the first female municipal police officer in the area. CETA was a government funded training program, which paid the wages while persons learned certain skills or vocations. Shortly thereafter in 1978, McCrum resigned her position for unknown reasons. Mutchler was then promoted to Sergeant while Frank Maresca was hired as a police officer under the CETA program. Chief of Police Burkland resigned his position November 1979 and the Borough investigated the possibility of hiring police protection from an outside source, possibly due to the current police contract negotiations. Nothing ever materialized from the investigation. In April 1980, John R Blackledge was hired as the new Chief of Police for Riverside Borough at a salary of $15,000.00 annually. Later that year, Frank Maresca was hired full time as a police officer without CETA funding, but resigned a few days later for unknown reasons. Jay Berthelsen was hired as a full time police officer in June of 1981 from a part time position under the CETA program. His full time status was also short lived when he resigned in December of that year to take a full time position with the Mahoning Township Police Department. The hiring process was already in progress to bring the police department up to a full compliment of three full time officers when John Mutchler suddenly resigned in May of 1982. The Borough then appointed part time police officer Isaac Ramer to take Mutchler’s former full time position, and shortly thereafter completed the hiring process and hired Steven Watkins in June 1982 bringing the police force back to three full time officers. In July of 1987, Chief Blackledge resigned under controversy. It was learned that he was working as a police officer and driving the borough police cruiser while his driver’s license had been under suspension for about four years due to an incident, which occurred prior to him being hired by Riverside Borough. In early August of that year, then Corporal Ike Ramer was appointed Officer in Charge of the department until being appointed the Chief of Police in January 1988. A number of other full time officers had come and gone after that. John M. Haas was hired full time in August 1988 and resigned in July 1991; Michael J. Sheldon was hired in October 1991 and resigned in September 1993; Harold A. Lerch, Jr. November 1st, 1993 and resigned in May 1995 to work at Danville PD; and Kerry Parkes, hired in July 1995 and still currently works for the Borough today. Officer Steven Watkins retired effective October 2, 2012. Gerard Zeidler has been hired by the Riverside Police Office effective June 17, 2013. We welcome Jerry from the Danville area. With his hiring, our police complement is now at full capacity. Officer Zeidler resigned from his position with the Borough of Riverside effective October 1, 2014 to begin employment in the Town of Bloomsburg, PA. We wish him much success in his new employment. Chief Isaac L. Ramer notified Council of his pending retirement date of 12/31/2014. Chief Ramer served the Riverside Borough community for over 32 years. He is wished much happiness in his retirement. On December 8, 2014, the Riverside Borough hired a new police officer to replace the vacancy of Officer Zeidler. Officer Timothy Kiefaber joined the Police Department; he hails from Shamokin and we are excited to welcome him aboard the Borough Staff. January 5, 2015, Kerry J. Parkes was appointed to the position of Chief of Police for Riverside Borough. January 5, 2015, Jennifer Goss was hired to fill the open position in the Riverside Police Department. Jennifer lives in Danville and the police staff is now at full complement. Welcome Jennifer! Jennifer got married to Kyle Alexander. Officer Alexander left the Borough in September 2015. October 19, 2015 Officer Timothy Kiefaber resigned from the Borough of Riverside to take a position in the Watsontown Borough Police Office. He will be greatly missed and we wish him the best in his new position. November 2, 2015 - Officer Kevin Romansik was hired in the office of Riverside Borough Police. Officer Romansik resides in the Borough with his wife and two sons. Welcome Aboard, Kevin! December 7, 2015 - Officer Quentin Reinford was hired in the Riverside Borough Police Department. Offficer Reinford resides in Danville with his wife, Kourtney. With his hiring, our Police Department is at a full complement of 3 officers. Welcome to Riverside, Quentin! July 14, 2016 - Officer Quentin Reinford resigned to pursue a position with the Bloomsburg Police Department. Good Luck to you Officer Reinford. September 6, 2016 - Riverside Borough Council hired Bradley M. Harvey for the patrolman position in the Riverside Borough Police Department. Officer Harvey resides in the Borough at this time with his wife Sara. Welcome Aboard, Officer Harvey! April 18, 2017 - Patrolman Andrew Rupp joined the Riverside Borough Police Department. Andy and his twin daughters, Lexi and Tara, reside in Orangeville. ​We welcome them to our Borough Family!